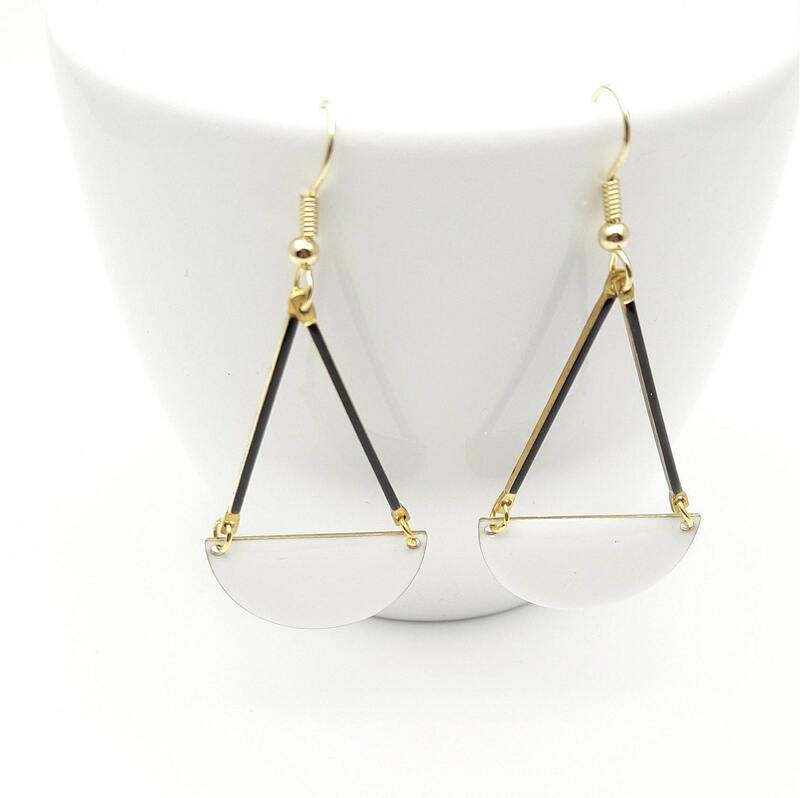 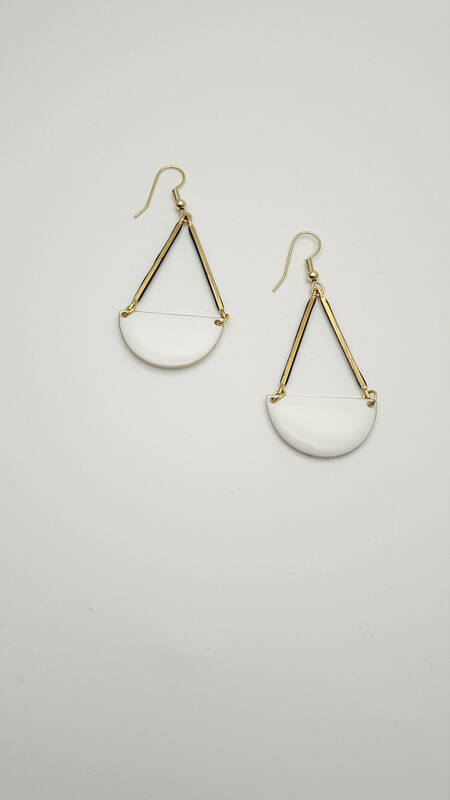 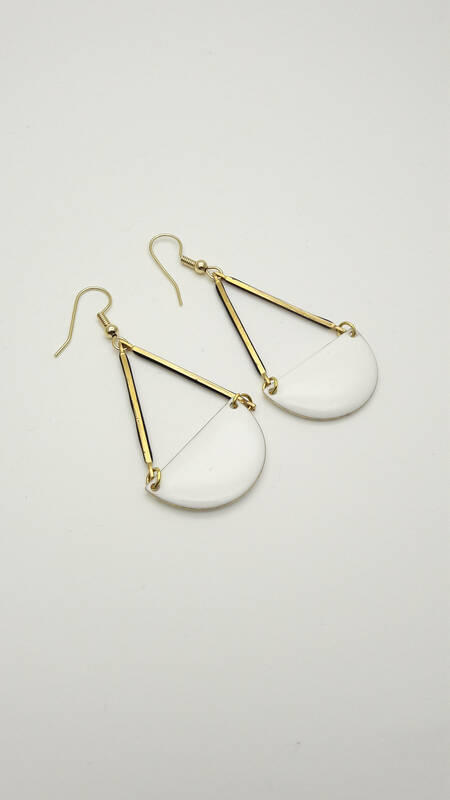 White Enamel earrings//Long geometric semi circle gold steel closures dangles//White Black Gold graphic enamel Hypoallergenic earrings. 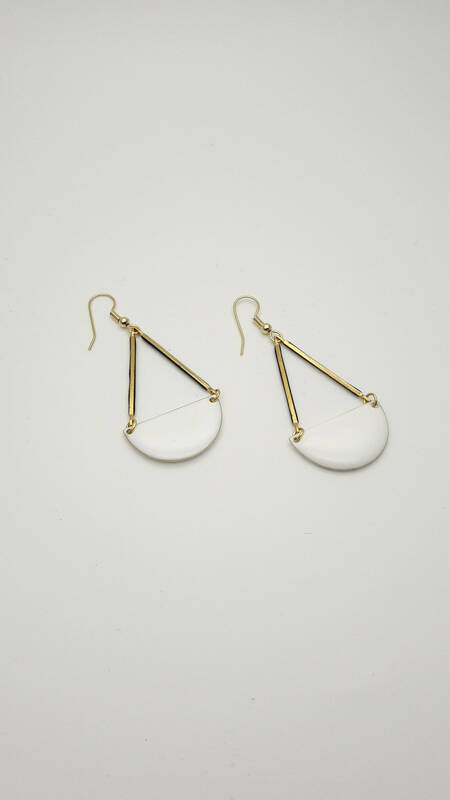 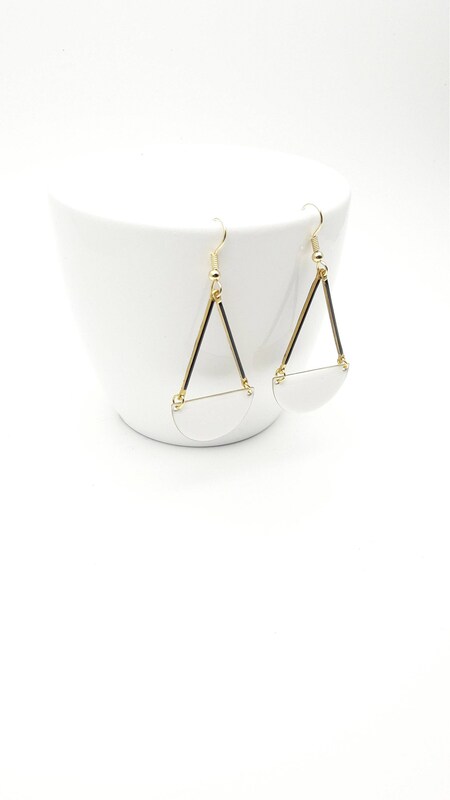 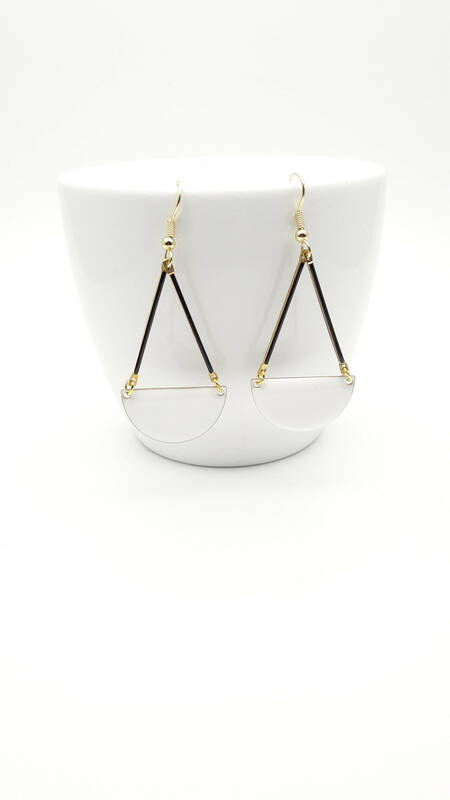 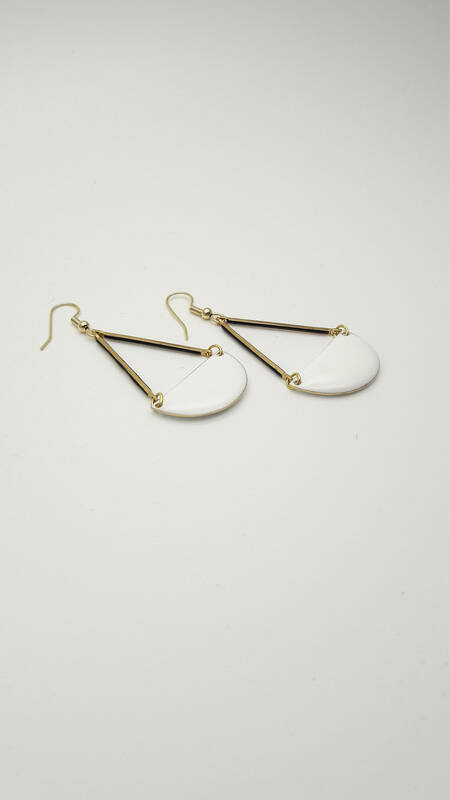 I made these long dangle graphic earrings with brass enamel white half circles and thin black brass bars. 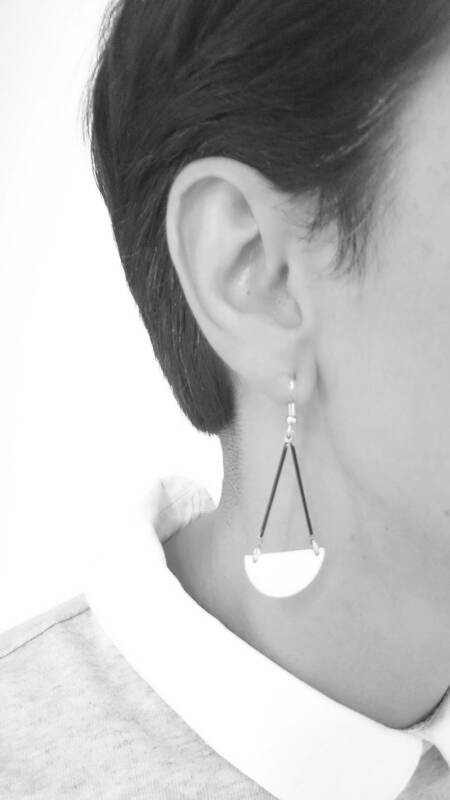 The half moons are enameled on both sides. 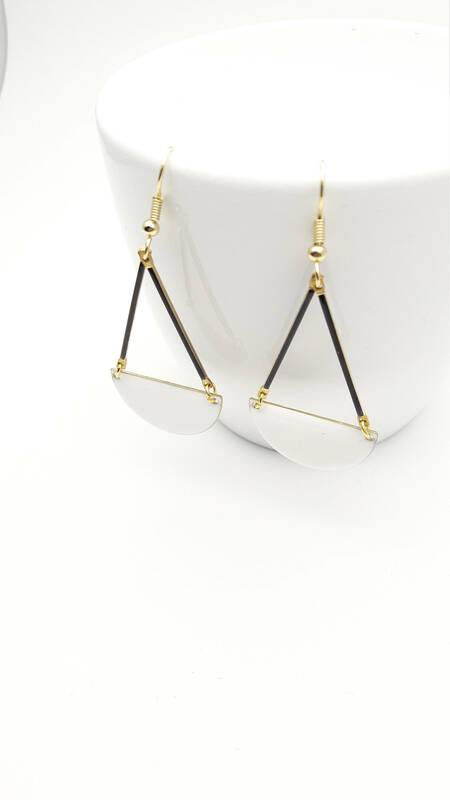 The closures are gold tone stainless steel. 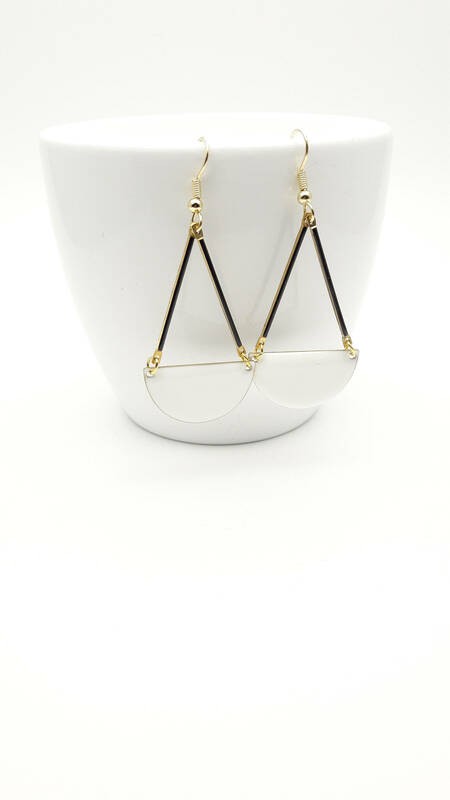 1 semi circle is 25 mm x 15 mm.